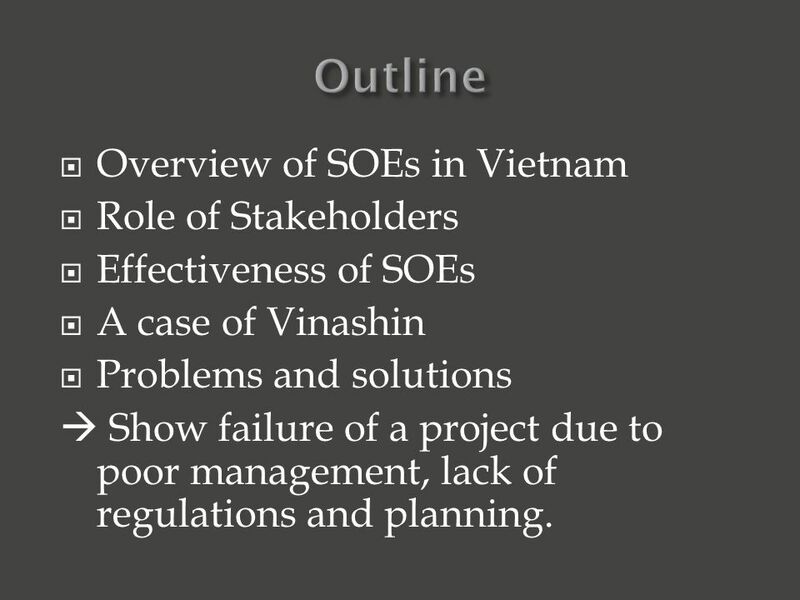 2  Overview of SOEs in Vietnam  Role of Stakeholders  Effectiveness of SOEs  A case of Vinashin  Problems and solutions  Show failure of a project due to poor management, lack of regulations and planning. 4  Establishment of Groups and State owned Corporations according to decisions of Prime Minister in 1990 and 1991. 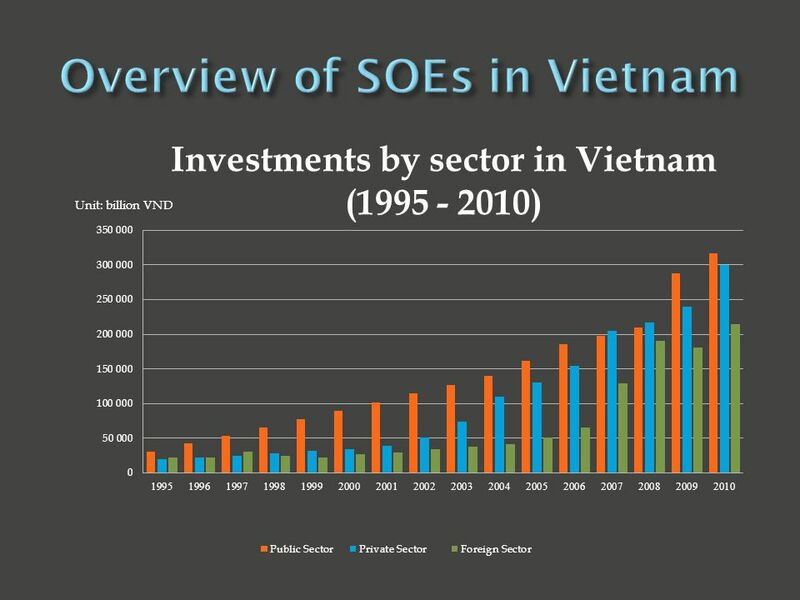  As a key pillar of Vietnam’s economy to help Vietnam primarily become an industrial country by 2020. 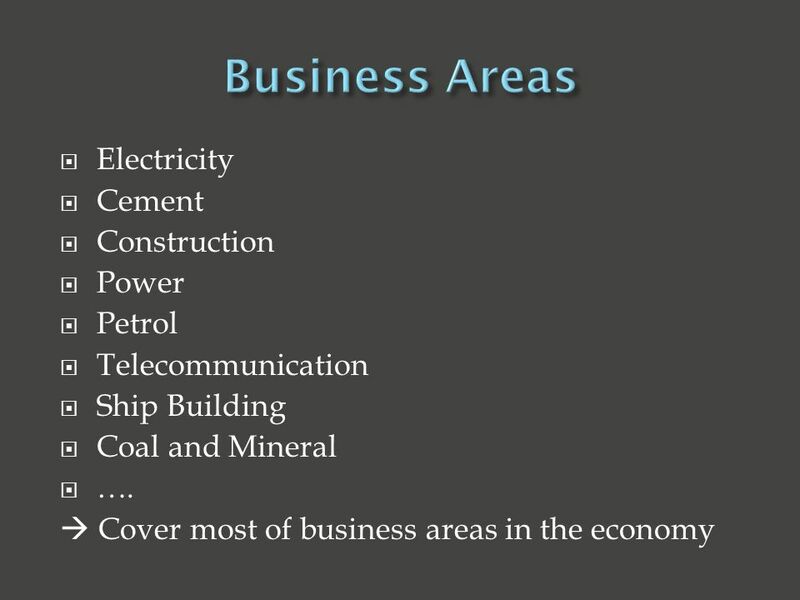  As a tool to operate the economy.  Necessity: Investment of infrastructure and technology, lack of quality staff and managers and avoid competition from multinational corporations.  In 2011: 11 Groups and 85 State owned Corporations. 9  Capital from government budget.  Loans with low interest rate (not officially announced).  Lower corporation tax rate. 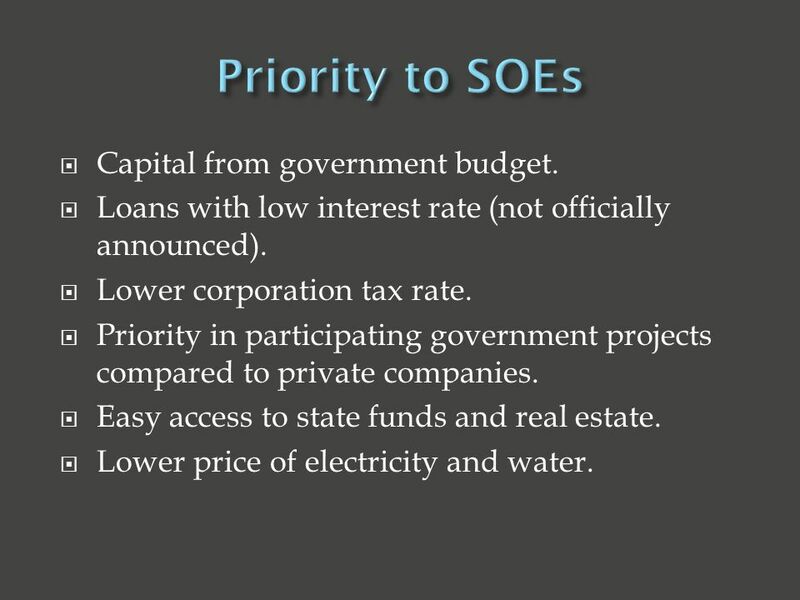  Priority in participating government projects compared to private companies.  Easy access to state funds and real estate.  Lower price of electricity and water. 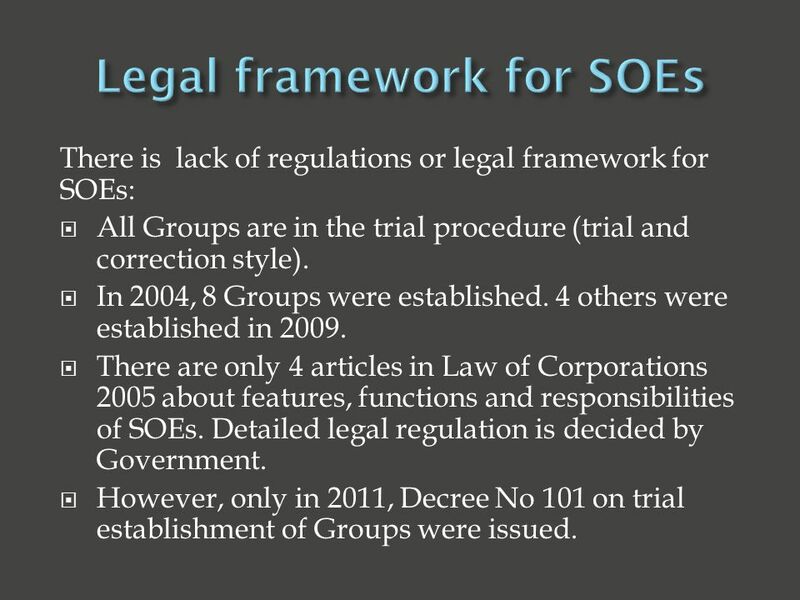 10 There is lack of regulations or legal framework for SOEs:  All Groups are in the trial procedure (trial and correction style).  In 2004, 8 Groups were established. 4 others were established in 2009. 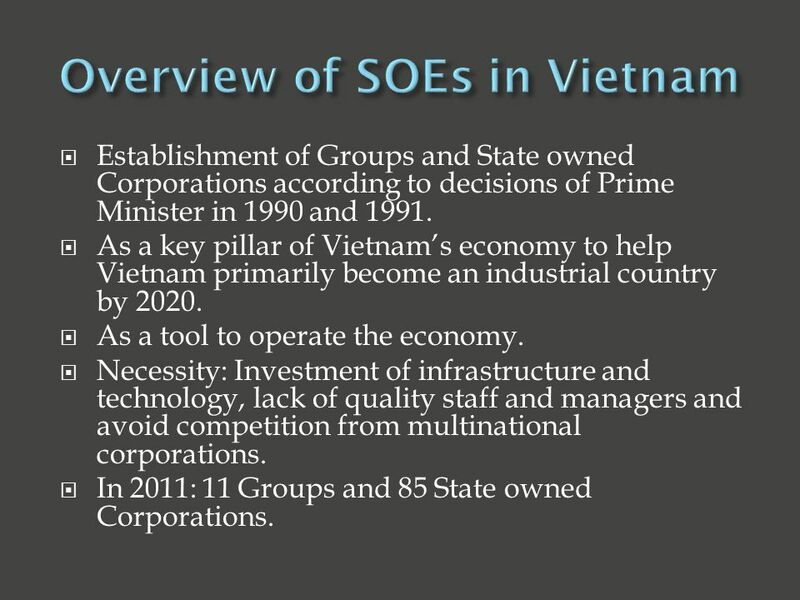  There are only 4 articles in Law of Corporations 2005 about features, functions and responsibilities of SOEs. Detailed legal regulation is decided by Government.  However, only in 2011, Decree No 101 on trial establishment of Groups were issued. 12  In 2011, there were 11 groups and 85 state corporations. 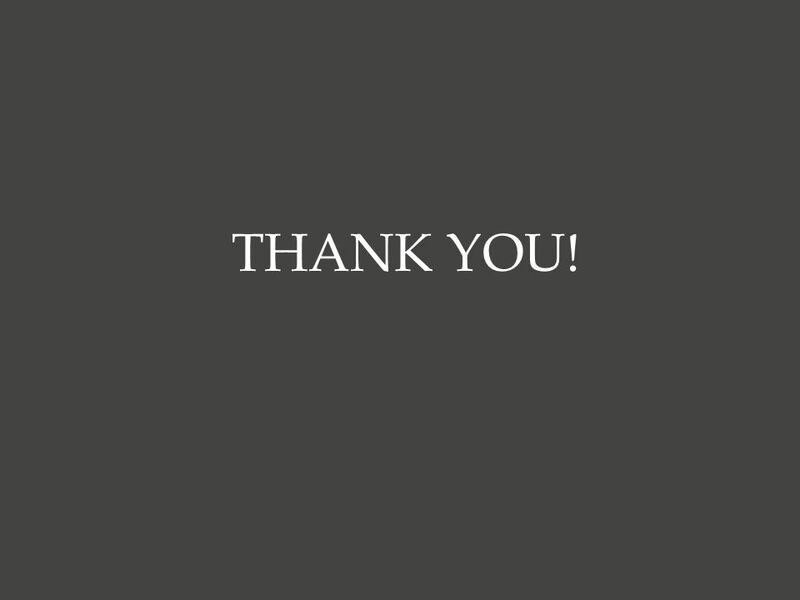  Contributed 34% of GDP (2010). 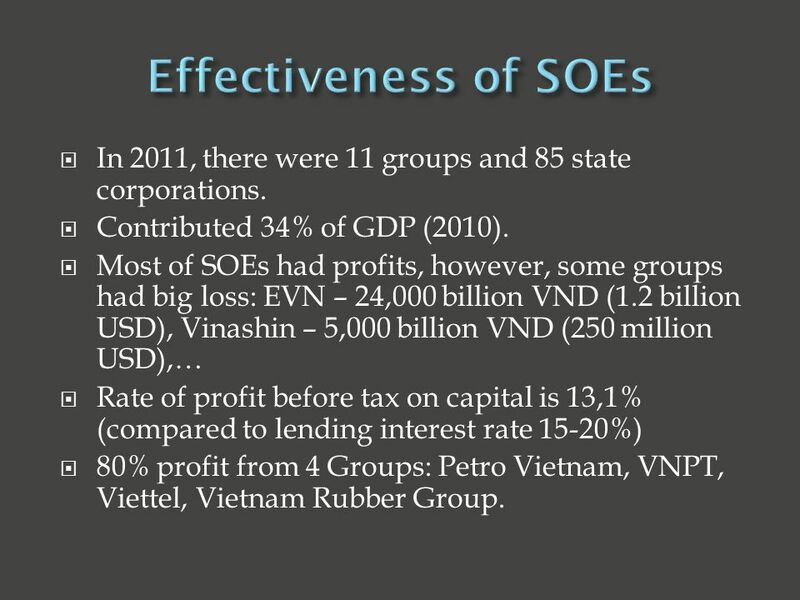  Most of SOEs had profits, however, some groups had big loss: EVN – 24,000 billion VND (1.2 billion USD), Vinashin – 5,000 billion VND (250 million USD),…  Rate of profit before tax on capital is 13,1% (compared to lending interest rate 15-20%)  80% profit from 4 Groups: Petro Vietnam, VNPT, Viettel, Vietnam Rubber Group. 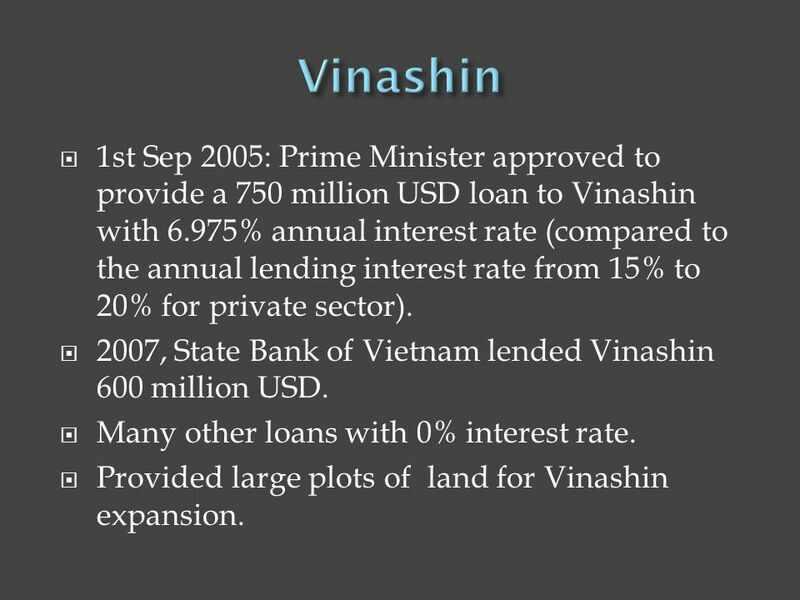 16  1st Sep 2005: Prime Minister approved to provide a 750 million USD loan to Vinashin with 6.975% annual interest rate (compared to the annual lending interest rate from 15% to 20% for private sector). 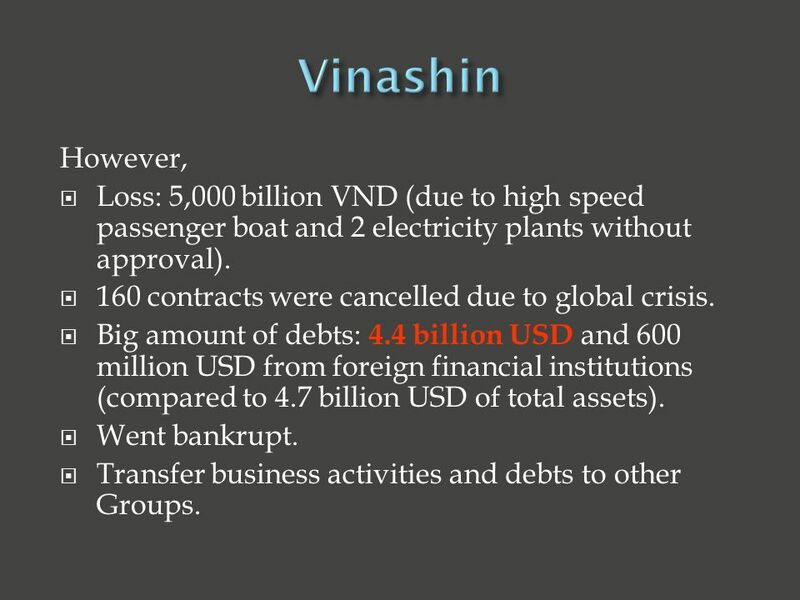  2007, State Bank of Vietnam lended Vinashin 600 million USD.  Many other loans with 0% interest rate. 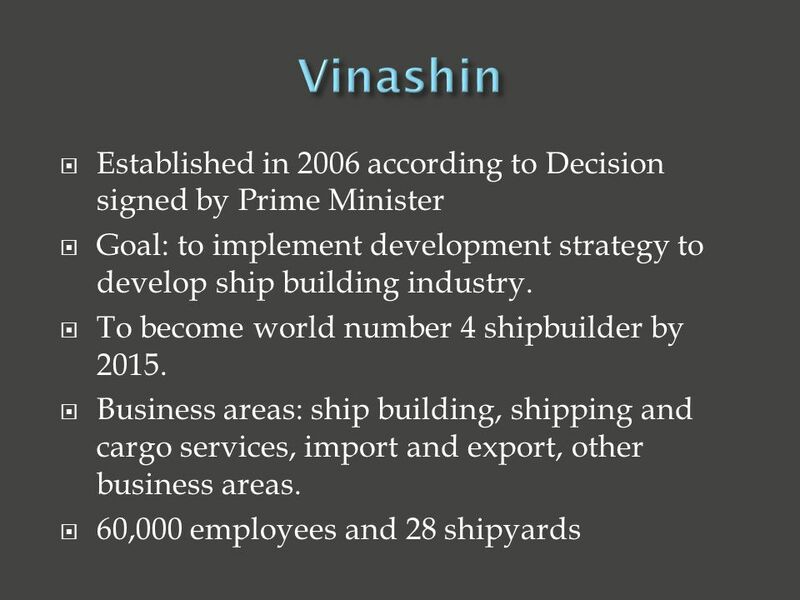  Provided large plots of land for Vinashin expansion. 17 However,  Loss: 5,000 billion VND (due to high speed passenger boat and 2 electricity plants without approval).  160 contracts were cancelled due to global crisis. 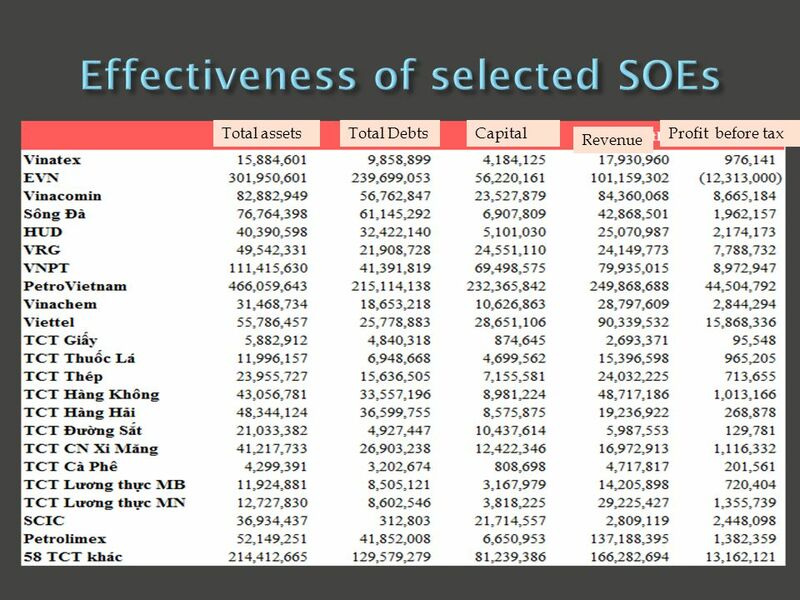  Big amount of debts: 4.4 billion USD and 600 million USD from foreign financial institutions (compared to 4.7 billion USD of total assets).  Went bankrupt.  Transfer business activities and debts to other Groups. 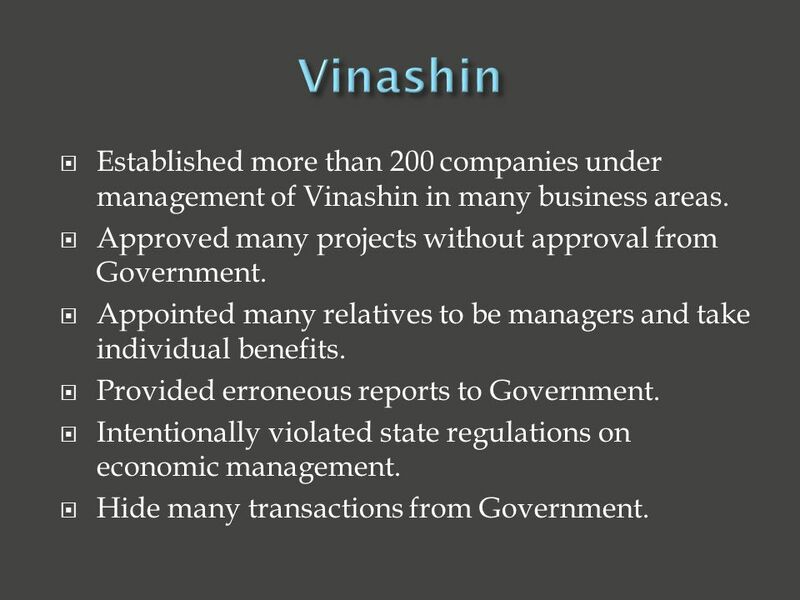 18  Established more than 200 companies under management of Vinashin in many business areas.  Approved many projects without approval from Government.  Appointed many relatives to be managers and take individual benefits.  Provided erroneous reports to Government.  Intentionally violated state regulations on economic management.  Hide many transactions from Government. 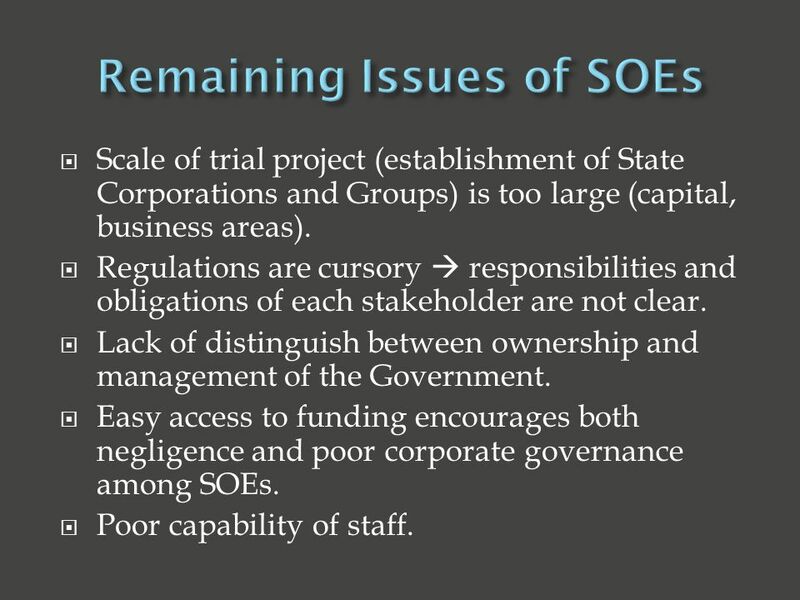 19  Scale of trial project (establishment of State Corporations and Groups) is too large (capital, business areas).  Regulations are cursory  responsibilities and obligations of each stakeholder are not clear.  Lack of distinguish between ownership and management of the Government. 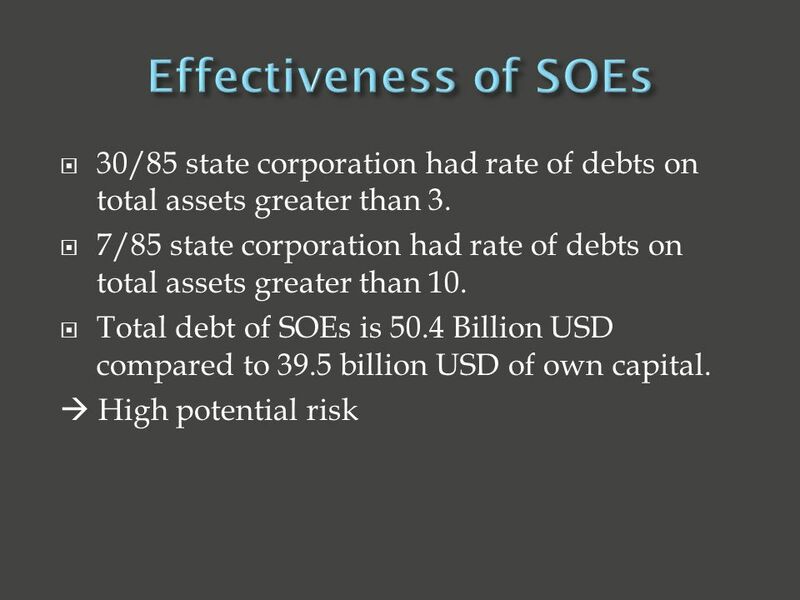  Easy access to funding encourages both negligence and poor corporate governance among SOEs.  Poor capability of staff. 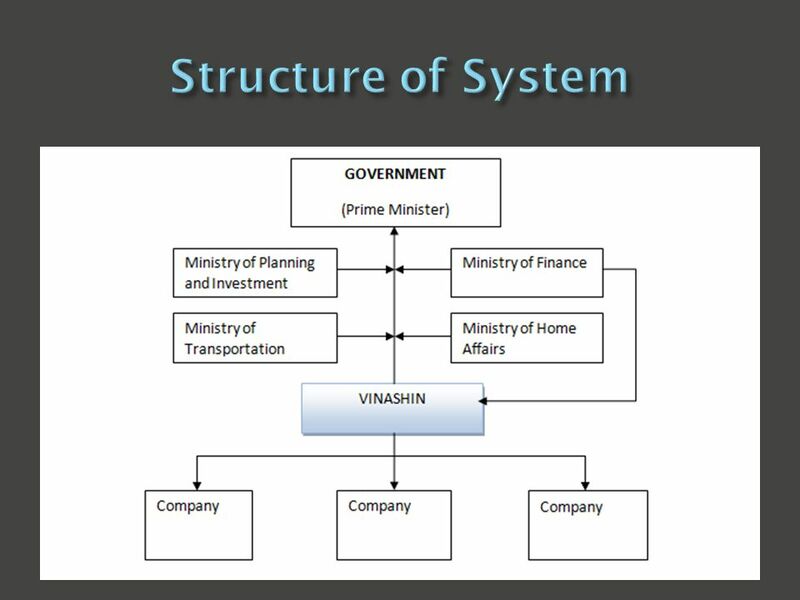 20  Reform structure of the whole economy (Project of Ministry of Planning and Investment). 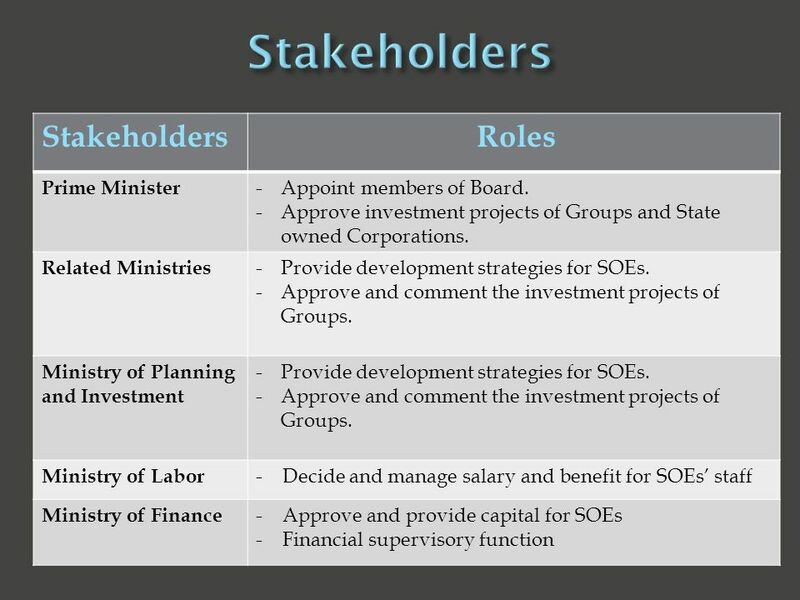  Detailed regulations about responsibilities and obligations of each stakeholder. 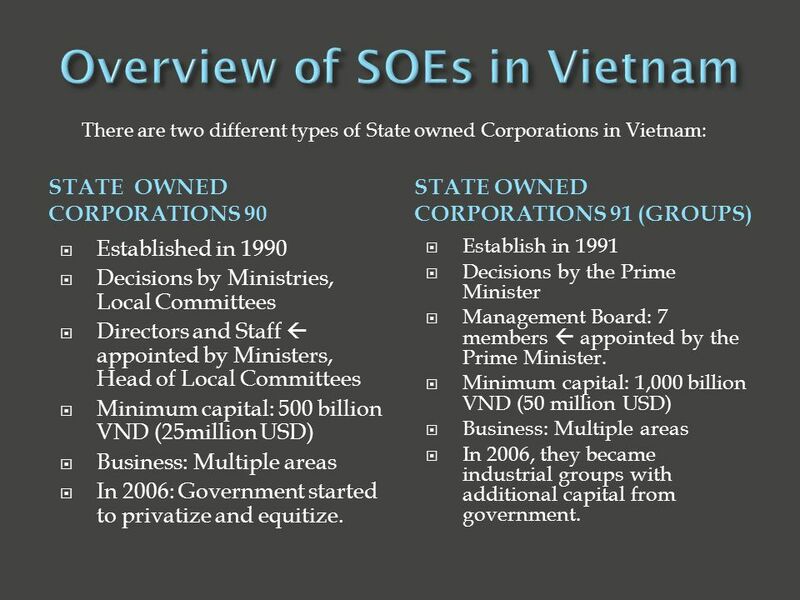  Privatize SOEs (since 2006 for state owned corporations) and require Groups to divest their non-core business activities.  Independent supervisor agency.  Improve transparency of investment, financial performance and management. 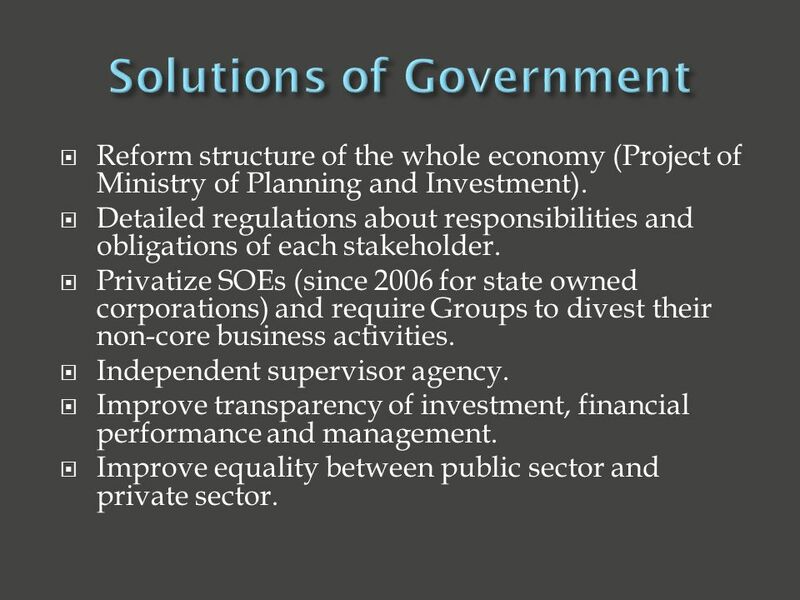  Improve equality between public sector and private sector. 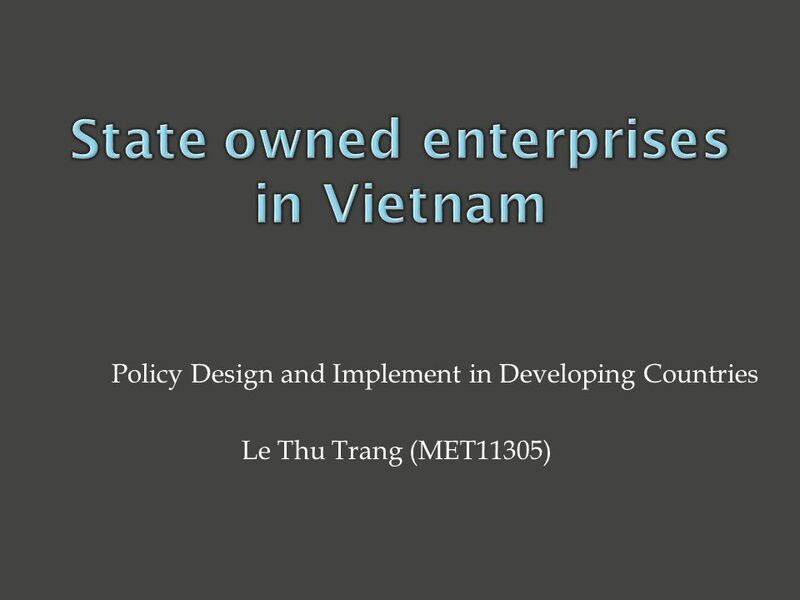 Download ppt "Policy Design and Implement in Developing Countries Le Thu Trang (MET11305)"
Legal Issues and Recent Developments in Serbia Ljubljana, November Enterprise Management Incentives Ms Jelena Edelman, Senior Associate, Prica. Deposit insurance in Montenegro Predrag Marković Managing Board President Deposit Protection Fund. 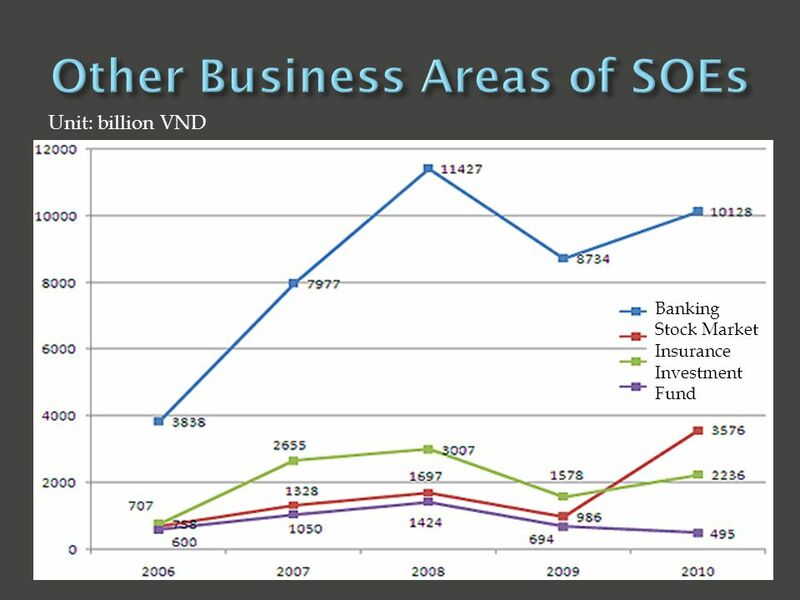 1 GLOBAL CRISIS ISSUES AND CHALLENGES FOR THE ARMENIAN FINANCIAL SYSTEM VAHE VARDANYAN Head of Financial system policy and financial stability department. Budgetary aspects of the Macedonian Pension Reform Zorica Apostolska Director, MAPAS April 9, 2008 Bucharest Agency for supervision of Fully Funded Pension. JSC Sustainable Development Fund Kazyna Best-practices in the formulation and implementation of investment policies in LLDCs 1 October 2008 The Gateway. Financial convergence in Asia C.P. Chandrasekhar. Africas Investment and Credit Insurer Mobilizing Aid for Trade: A Global Review 19 th – 21 st November 2007 Geneva Peter Jones Chief. Affordable Housing Policies and Programs Thailand. HOUSING FOR MIDDLE-LOW J.Aldarjavkhlan. CEO of Mongolian Housing Finance Corporation 2011 INCOME FAMILIES. PRIVATE SECTOR DEVELOPMENT Mr. Dragan Vrankić, Deputy Prime Minister of Federation of BiH International conference on development of Bosnia and Herzegovina. The Global Crisis - Role of Regional Integration and EU Accession Milica Uvalic University of Perugia Western Balkans in 2020 – Overcoming the Economic. Employers and employability Terence Perrin Chairman Association of Graduate Recruiters – AGR. Ministry of the Treasury Anita Ryng Director of the Department of European Integration and Foreign Relations Luxembourg, 28 June 2005 Special rights in.